Mississippi Governor Phil Bryant signed a bill banning abortion after a fetal heartbeat can be detected into law on Thursday. 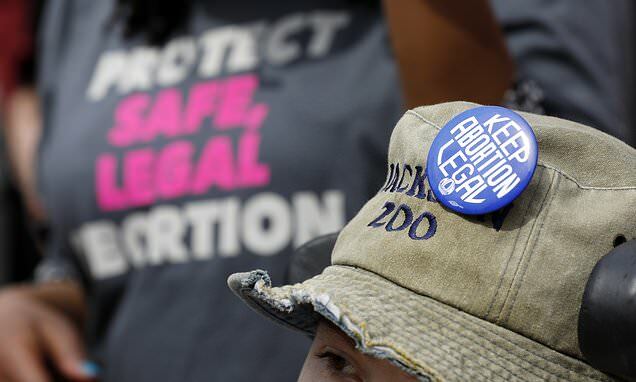 So-called 'heartbeat bills' are among the most restrictive abortion measures being considered in US states. They could make abortions illegal as early as six weeks into a pregnancy, when a fetal heartbeat can, in some cases, first be detected. Similar bills were passed by the Georgia and Tennessee Houses of Representatives earlier this month, and may well become law later this year. Abortion opponents are emboldened by new conservatives on the Supreme Court and are seeking cases to challenge the court's 1973 ruling that legalized abortion nationwide, and Mississippi is among a number or other states seeking tighter abortion restrictions. As Georgia and Tennessee consider similar laws, Kentucky has passed one banning abortion after the detection of a heartbeat. Its law was immediately challenged by the American Civil Liberties Union when Republican Governor Matt Bevin signed it on March 14, and a federal judge temporarily blocked it. In 2018, another federal judge struck down a previous Mississippi law that would ban most abortions after 15 weeks of pregnancy, saying it is unconstitutional.